Lots of people aim to do Everest Base Camp Trek by a single. Any person without a friend or companion can easily do Everest Base Camp Trek. No matter the single is either male or female. Everest Base Camp Trek by single becomes totally safe and equally exciting when he/ she goes EBC Trek witan h experienced guide. During trekking, if porter also with him, the trekking will be much more comfortable. Why need Trekking Guide for Single Trek to Everest Base Camp? The Single trek of Everest Base Camp without a good guide will be quite risky as well as uncomfortable. While trekking in the Everest mountain area, the single trekker will obviously confused to find out the exact trail since there are side trails used by Sherpas. If there is a guide there will not be any confusion of finding out the proper route. Through guide, you will get the important information about Himalayas, village, local lifestyle, flora and fauna. Another more important thing is Everest Base Camp is high altitude journey. 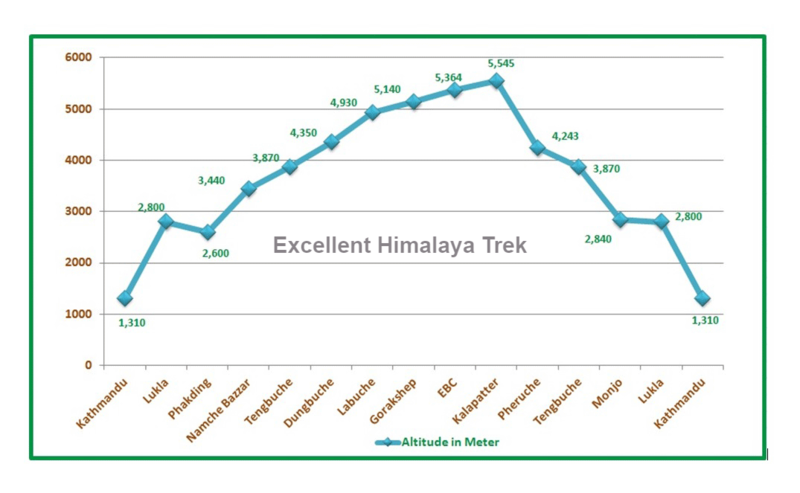 The trekker need to walk up to 5500 meters from sea level. So, in High land, sometime you may face altitude sickness. Altitude sickness should be properly handle on time. At severely case, you need to immediately evacuate by chopper to Kathmandu. So, in such an emergency situation, if you have a guide he will handle everything well and you will be in the safe side. Does it need Porter for Single Trek to Everest Base Camp Trek? In the case of porter, it is optional. If you can carry your own all the backpack/ luggage during the entire trek, it is not compulsory. However, in high mountain, if you have porter if will be very comfortable for you. You will not feel more fatigue. Many trekkers also hire a porter in Everest Base Camp Trek. Single trek to Everest Base Camp is completely a private trek. You can trek on your own. Thus, you feel more flexibility, excitement and relaxed than a group joining a tour. In the group tour, there will be people from different countries or communities. They have their own interests to see, eat and stay. So you can’t travel in your own way and interest. Further, in the group tour, you can’t maintain your privacy. You need to share the room with a different person whom you do not recognize before. So, it may create discomfort for you. Even though Single Trek has many advantages, it has one drawback/ disadvantage as well. It is by cost it becomes a little expensive because in a single trek you do not share any services with others like room, guide, porter, food etc. Day 11: Trekking from Pheriche to Namche Bazaar (Alt. 3441m/11289ft). Walking 6:30 hours. Overnight at Mountain Lodge. Day 12: Trekking from Namche Bazaar to Lukla (Alt.2804m/9199ft). Walking 6:30 hours. Overnight at Mountain Lodge. Day 14: Departure to the home country. Our tour officer will drop you at Kathmandu International airport and see you off. End of Service. Or you may take optional side tours. • AAirfareof your international flight.